DETROIT, Mich. – The Detroit Pistons announced today an agreement with Dwane Casey to join the organization as Head Coach. Casey, who will be formally introduced at a news conference in Detroit next week, is expected to start immediately with player meetings and staff development starting this week. “Dwane is one of the most successful and highly respected coaches in our league,” said Pistons Owner Tom Gores. “He’s a great communicator and a leader who will connect with our players and accelerate their growth. Having spent many hours with Dwane over the last few weeks, I’m confident he is the right person to get us to the next level. Mr. Casey, who led the Toronto Raptors to 59 wins in the most recently completed season, is a finalist for the NBA’s 2018 Coach of the Year Award, which will presented on June 25 at the league’s awards dinner in Los Angeles. Last month, he was named the Coach of the Year by the National Basketball Coaches Association. 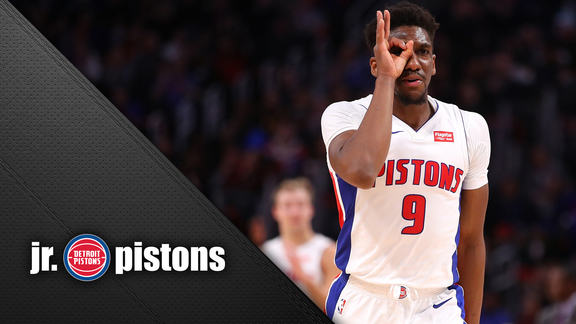 “I am excited and honored to join the Detroit Pistons, a franchise with a championship history and a roster that is ready to win now,” Mr. Casey said. “Tom really won me over with his vision for the team and the city. He clearly wants to deliver for the fans in Detroit and I believe in the strength of his leadership to do so. Casey, 61, has served as a head coach, associate head coach or assistant coach in the NBA for 23 of the past 24 years. He has coached in two NBA Finals (1996 and 2011) and three NBA All-Star games (1996, 1998 and 2018). Casey most recently served as head coach of the Toronto Raptors from 2011-2018 where he compiled a 320-238 (.573) regular-season record and led the Raptors to a franchise-record five consecutive playoff appearances, including a trip to the 2016 Eastern Conference Finals. The all-time winningest coach in Raptors history, Casey led Toronto to the franchise’s first 50-win season in 2015-16, recorded 50-plus wins in each of the last three seasons and posted a franchise-record 59 wins and the top seed in the Eastern Conference in 2017-18. Toronto won four Atlantic Division titles during Casey’s tenure. He was named Eastern Conference Coach of the Month five times, and last February, became the first coach in Raptors history to be selected to coach in the NBA All-Star game. Prior to his appointment with Toronto, he served as head coach of the Minnesota Timberwolves from 2005-07. Casey’s 2005-06 squad finished in the NBA’s top 10 in fewest average points per game and lowest opponent field goal percentage. Casey began his NBA career as an assistant coach with the Seattle Supersonics where he served from 1994-2005 under NBA head coaches George Karl, Paul Westphal and Nate McMillan. Promoted to associate head coach in November 2000, nine of his teams in Seattle finished above .500 with five winning 50 or more games. The 1996 squad won the Western Conference Championship after finishing the regular season with a franchise record 64 victories. He also spent three seasons (2008-11) as an assistant with Dallas under Rick Carlisle where he directed the club’s defense and helped lead the Mavericks to the 2011 NBA Championship. Dallas posted a 162-84 (.659) mark during that span, winning 50 or more games in each of his three seasons with the team. His defensive unit held opponents to 96.0 points per game (6th in the NBA) and .450 percent shooting from the field (8th in the NBA) during the 2010-11 regular season. In 14 seasons as an NBA assistant, Casey’s teams registered a 689-427 (.617) mark with eight campaigns of 50 or more wins. His teams qualified for the playoffs in 11 of those 14 seasons. Prior to the NBA, Casey spent five seasons as a head coach in the Japanese Basketball League and worked with the Japanese national team. In the summer of 1998, he helped to guide Japan to its first appearance in the FIBA World Championship, which marked a first for Japan in over 30 years. A native of Morganfield, KY, Casey played collegiately at the University of Kentucky. During his junior season, the Wildcats amassed 30-2 record and captured the 1978 NCAA Championship. As a senior, he was named team captain and won Kentucky’s all-academic award. Casey earned a degree in business administration in 1979. He and his wife, Brenda, have a daughter, Justine and a son, Zachary.